I think the ability to sleep at night comes down to how able you are to pay it back. If you’re managing your payments fine, and you have a manageable plan to get out of it, then you shouldn’t be vastly affected. The problem comes when you’re debt is sudden, unexpected, or so out of control you cannot afford to pay it off anymore. These are yet more reasons to budget and spend wisely. As annoying as this is, in order to be able to afford the things you want, you can’t get away from it. Find a system that works for you and stick to it. Seriously, its as simple as that. Baby steps – spend less than you earn, save as much as you can, invest and pay off debt. This formula will keep you safe throughout your life. So step number one this year is get out of debt. If you need more inspiration. Check out my other blogs in this category! Most people are faced with money worries at one time or another. Despite our wishlists for where to spend our money – an exotic holiday, a home renovation, the latest technology – most of us are often one step away from some kind of financial disaster. An unexpected medical bill. An overhanging debt. The loss of a job. These are some of the life events that can put a huge dent in our bank balance, as well as causing us sleepless nights. In this article, we will try to alleviate some of your financial fears. We will look at three of the worries common to all of us, with some useful tips in overcoming them. No matter what you think of the NHS, at least we don’t have to pay for our healthcare up front here in the UK. Most of our worries about healthcare costs are already alleviated because of this fact. However, there are still costs involved for some services, such as dental costs. Then there are expenses for services outside of the NHS, normally attributed to private health care. Tip: While not all NHS services are provided for, you may still be entitled to free care if you fall into a particular income bracket or are on any kind of benefit. Eye tests and glasses are examples of this. Pregnancy is also covered, so prescriptions will be free during this time. Private health insurance is a viable choice, especially for expenses outside of the remit of the NHS. If you can afford it, buying private insurance might be a good idea. Find out if you can get this as a benefit at work. You can have access to faster specialist appointments, faster treatment, and sooner surgical procedures. It can also cover things like physiotherapy and psychotherapy – two areas that have long waiting times in a very overstretched NHS. Taking out insurance can be expensive, but it is possible to compare policies online, and get the appropriate cover at a cheaper price. So what do you do if you have incurred unexpected costs due to a medical mistake? There are a number of steps to take before going down the route of medical negligence claims. If you have a problem arising from your care, first contact the hospital directly using PALS. This stands for the “Patient Advice and Liaison Service“. They can grant access to your records, and can tell you how to make a formal complaint if required. If you still feel that claiming compensation is a route you want to take after all the above, then asking medical negligence solicitors for help might be the right option, but be prepared for a potentially lengthy and stressful process. This is a biggie, especially in today’s society. Not only is unemployment on the rise in some areas of the country, but there is the risk of redundancy to content with too. Many jobs are also being automated, with people losing their jobs due to the implementation of robots and computerised systems replacing them. Tip: The risk of redundancy is prevalent in specific jobs, such as those in the financial and manufacturing industries. Therefore, it may be time to consider a safer career, especially one where you are unlikely to be replaced by technology. Jobs working with people are particularly safe, such as teaching and counselling, as no matter how clever a robot thinks it is, it can’t fully replicate human emotion. If changing career is not a possibility, having an emergency fund with 3-9 months worth of money to cover your basic living needs in it should be your first priority. This way, if you are made redundant, you have some breathing space to retrain and look for a new job. Save more if you think you need more time. Should you become unemployed, you should also claim back on your insurance policies. Assuming you have taken out cover, you may be able to stay financially afloat for a reasonable period. If you haven’t taken out cover yet, perhaps now is the time to do so to give you a safety net until your emergency fund is up to scratch. Most of us have at least one debt. Whether it’s a credit card or two, personal bank loan, or a mortgage, we are sometimes faced with the overwhelming fear of dealing with them, especially when we don’t have the resources to pay them off in full. Do you ever feel a little panicky when you get a letter from the bank? Maybe this is a sign to get your financial house in order. Tip: Fortunately, you don’t need to suffer alone. Debt is a huge problem for a lot of people, but money lenders are now being held accountable for extortionate interest rates and ruthless methods. In most cases you can speak to the company involved and they will possibly reduce interest and discuss a payment plan with you. 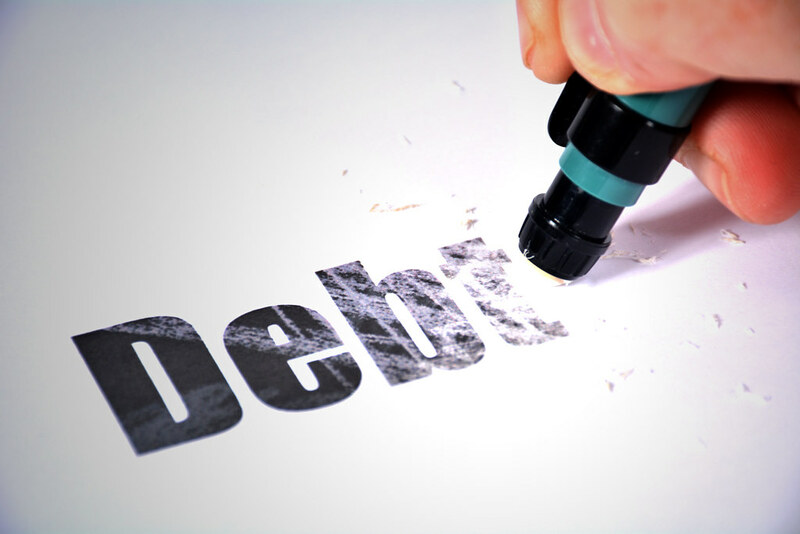 If you are feeling threatened by the lender, you can speak to a debt relief charity for advice. Not only will they give you information on dealing with the lender, but they will also also give you tips on managing your finances for the future. You could also read the debt advice in this related post. We have covered 3 common worries, but there may be others plaguing your mind. In many cases, the act of saving money and budgeting will be enough to give you peace of mind for the future. However, always seek professional advice. This could be a voluntary organisation, such as the Citizens Advice Bureau, or an accountant. The great thing is, there are many options open to you, so take a deep breath and go for it. Now over to you: what will you do this year to get your money sorted? Drop me a comment below! Also, if you would like support from an amazing group of women, head over to our private Facebook group and ask to join. Making retirement work for you - no matter what your age!